Compatible with the Beurer EM10 TENS-TO-GO Pain Relief Mini Pad. 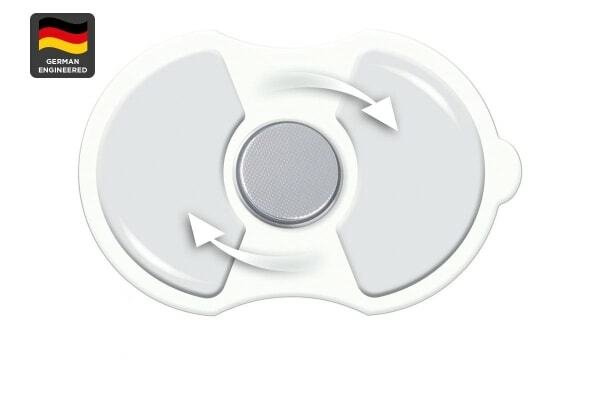 Replacement set for the Beurer TENS-TO-GO Pain Relief Mini Pad for simple and comfortable pain relief. Transcutaneous Electrical Nerve Stimulators work by interfering with the transmission of signals from underlying pain receptors, offering a safe, effective, medication-free way to relieve pain.